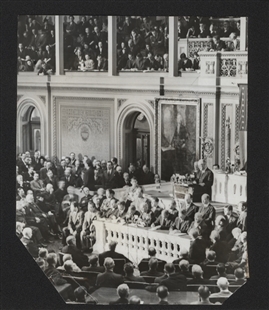 On December 8, 1941, President Franklin Delano Roosevelt asked a Joint Session of Congress to declare war against Japan in response to the surprise attack on Pearl Harbor. In his remarks, the president assured Members of Congress and the American people, “With confidence in our armed forces, with the unbounding determination of our people, we will gain the inevitable triumph. 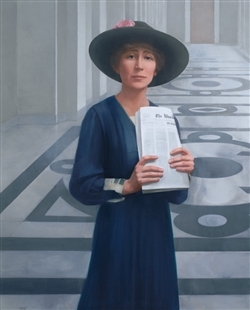 So help us God.” The vote to go to war was nearly unanimous, with pacifist Jeannette Rankin’s as the lone dissenting voice. Recollections of President Franklin D. Roosevelt’s "Day of Infamy" speech.